The MSI GTX 1660 Ti Gaming X was interesting since I did not want to mess with fan settings and I wanted to test it like any user may who would just jump in Afterburner to explore. Pushing the GPU I was able to get 100% stable +122 GPU which when reaching steady state hit 2055MHz (stock: 1860MHz boost steady state) that is about a 10% increase. The memory I was able to achieve +1612 fully stable which translates to 7613 or 15,226MHz effective. (Stock: 6000MHz – 12000MHz Effective) an approximate 21% overclock. This was quite impressive and shows that while its not the very best memory clock rate we have achieved on Turing cards, it is not bad at all as it is 12Gbps spec modules. 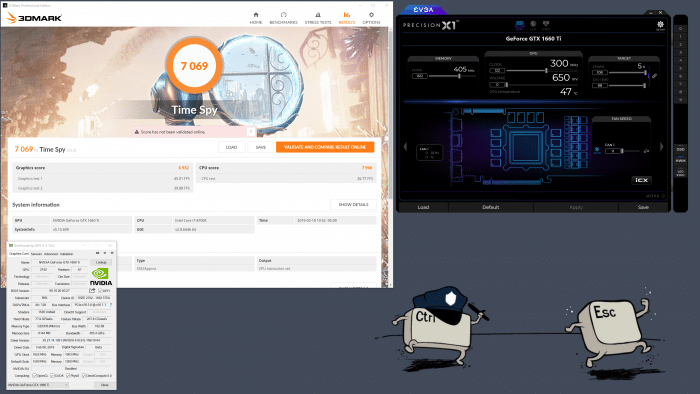 Time Spy showed a graphics score increase of a little under 8% with the overclock. 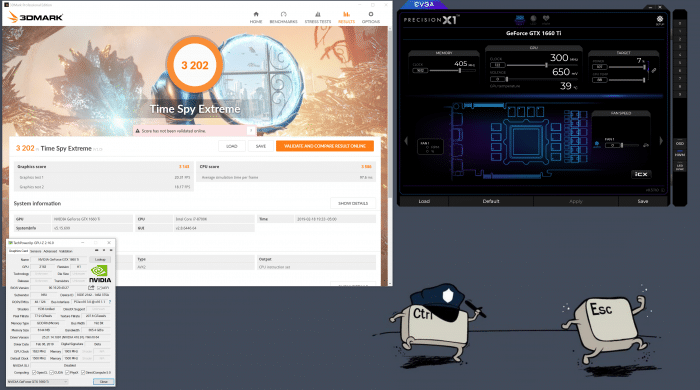 Time Spy Extreme showed a graphics score increase of a little over 8% with the overclock. 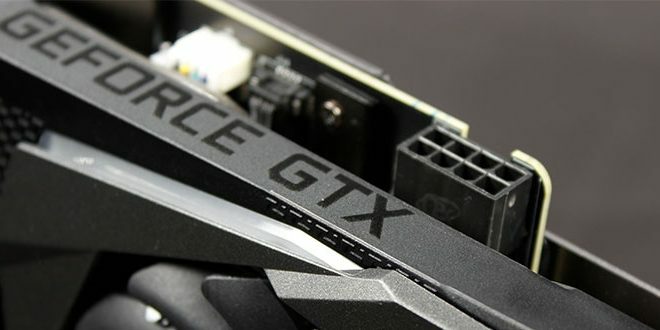 So, while the GPU on the MSI GTX 1660 ti Gaming X is pre-overclocked, it definitely has more room to play if you are willing to spend maybe 10 minutes tuning it in. The gains are well worth the small amount of time it took to find optimal clocks and I imagine it would probably take you into 1070 beating territory on almost everything at that point.